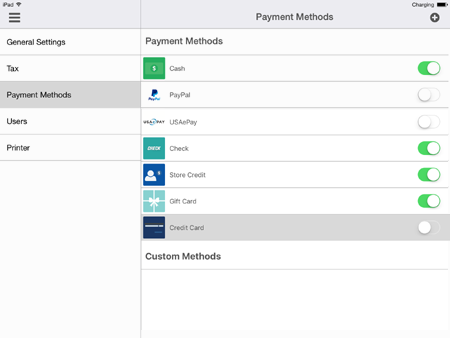 How do I set up the Payment Methods in the POS App? For actual hard cash transactions. Allows you to accept PayPal payments. 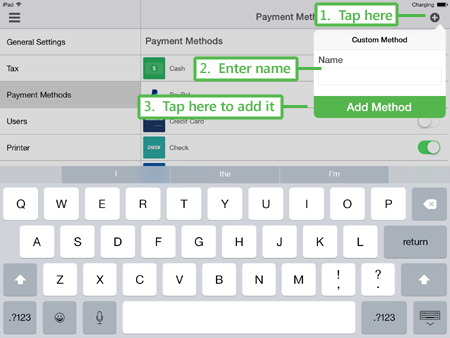 Note: This method will require that you have the PayPal app also installed on your iPad device. If you have the USA ePAy module set up and active on your 3dcart store, this method will be available to you in the POS App as well. Credit Cards can then be processed using USAePay's iCMP credit card reader. 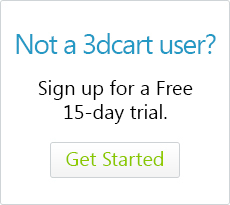 Please click here for more information on setting up the USAePay module in your 3dcart store. If you have the Persolvent Payments Lite module set up and active on your 3dcart store, this method will be available to you in the POS App as well. To the far right of each payment option, you will see a toggle switch allowing you to turn each option on or off as needed, with a simple tap. 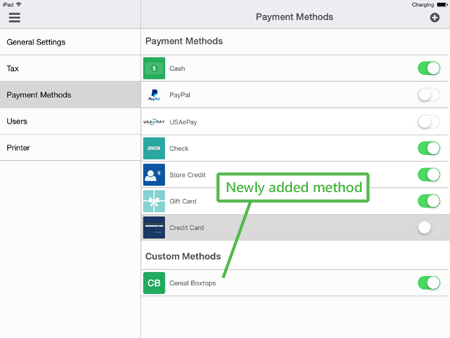 Tap "Add Method" to have it listed on the page. After creating the custom method, you may enable or disable it as needed. To delete a custom method, swipe left on the custom method and tap the trash icon to remove it from the POS App.